That was fairly amazing. I'm not talking so much about the storyline, mind you, as about the worldbuilding, the philosophy and the Buddhist parallels... in a story with gigantic weather-eating war dragons and sentient gum diseases. It's set in the past, probably World War Two or so. Dragons are this universe's ultimate war weapon, having turned themselves into living towns that house entire human communities and have fire breath, magical shields and resurrection teeth. They don't seem to be sentient, but they're really, really big. (Amazingly long tails, by the way.) There's a lot of weird stuff about dragons and I reckon they're basically Buddhism with wings. Dead people get reborn from their teeth and then go back into those same teeth when they die again, while it seems possible that human souls are the black oozy scuttling things that give them cavities. The humans who live on them are in two groups: dentists and soldiers. The latter kill their enemies. The former, in contrast, have already seen their own deaths and they live the rest of their lives under that shadow. That's part of how you become a dragon dentist. You see a particularly personal bit of the future. If you can accept this foreknowledge of your death, you'll be accepted and your job will be to hunt oozies. If you can't and are determined to struggle against fate, then I'm afraid you'll never be seen again. You'll disappear into the teeth and not come out. This is where people who know more than me about Buddhism could start discussing enlightenment, nirvana, etc. This is pretty mind-blowing... and it turns out that that's true in-story too. Most of what powers the plot is people's personal responses to death, foreknowledge of death and this very odd dragon-centric circle of life. It's violent, too. This is a war movie. There are biplanes, battleships and soldiers who'll shoot a temple full of priests because that's their default reaction to everything, really. The dragon-riding side are black-haired and Japanese, while the non-dragon side look American to me. They know they're at a disadvantage. Dragons are a big deal. They know quite a lot about the dragons and they're capable of mounting a scary operation to tip the war's balance back in their favour. There's a Japanese girl called Nonoko and a blonde American called Bell who finds himself a dentist after being resurrected from a dragon's tooth. The dragons don't care what side you used to be on. Dead is dead, or rather dead is now alive again. 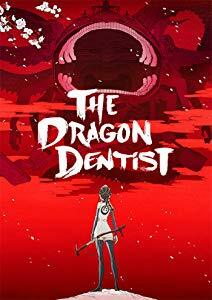 The Dragon Dentist was adapted into a two-episode (movie length when put together) anime in 2017, which includes an edited version of the events of the short as a flashback. Over and above its unique content, this film is fairly offbeat. It doesn't do things you'd expect and it doesn't have the finale you'd expect. There's something mildly disconcerting about it, but that's part of why it's cool. Reading a few online reviews, it looks as if not all viewers saw the overarching themes I did and so just thought it was a bunch of slightly disjointed cool stuff, explosively animated. Even those people still enjoyed it, though. It's one of the most original things I've seen in a while. Definitely worth a look.